Individualism prevailed at the Identity Fashion Show held in July by the Electric City Couture. 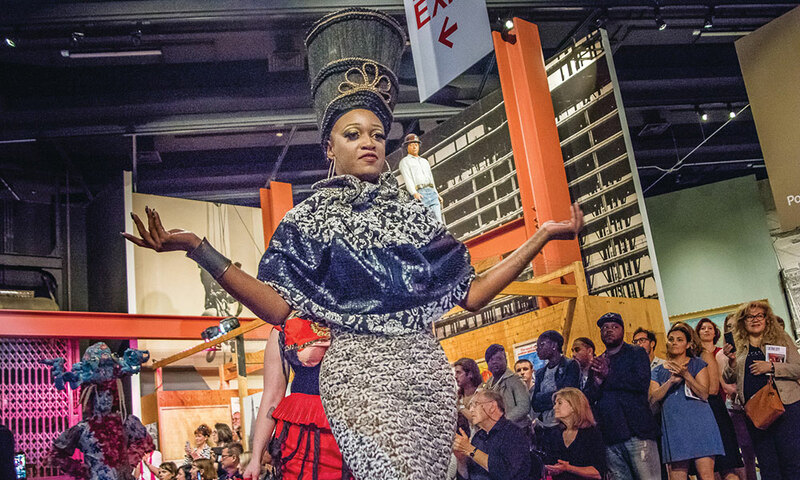 Designers, models, makeup artists, stylists, photographers and the creative community gathered at the New York State Museum in Albany for an innovative evening that explored personal identity and fashion nonconformity. The evening began with designer Olga Papkovitch (PopImpressKA of Manhattan) and her flirty, fun collection featuring her original artwork printed on flowing silk pieces. Her collection conformed to more traditional fashion expectations — unique, elegant and sophisticated. 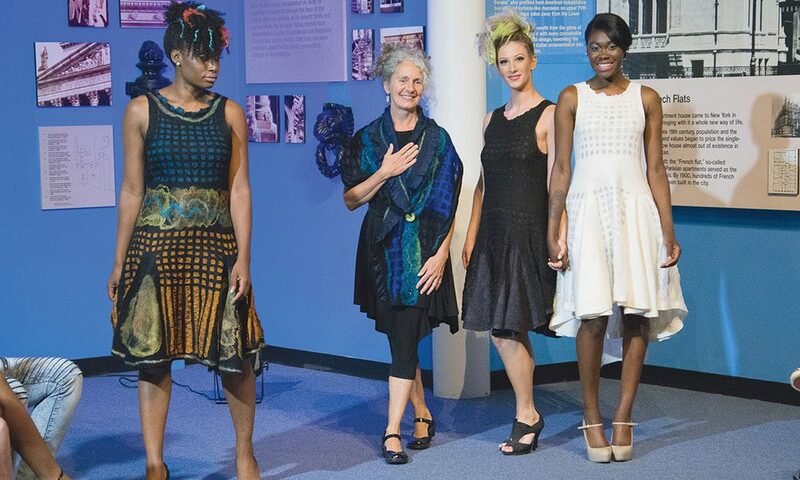 Inspired by the natural beauty of the Adirondacks, artisan designer Marjolaine Arsenault (Marjolaine’s Touch of Chestertown) sent her models down the runway in hand-dyed silk and wool fiber creations rich in vibrant earth tones. Her contemporary pieces of reversible wearable art featured multiple items that were non-gender-specific. Designer Megan Kluball of Clifton Park created a stark contrast with her simply cut statement pieces. Impacted early in life by the desire to break from gender-specific clothing, her clothing questioned conformity and featured bold phrases generating dialogue between wearers and observers. 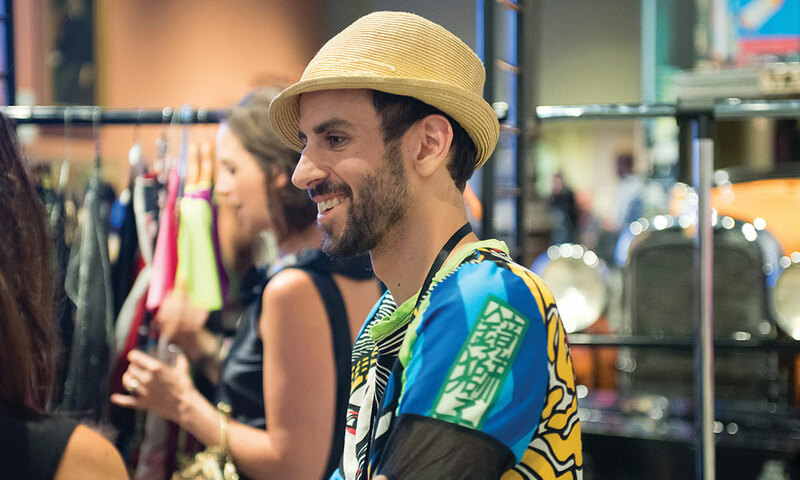 The evening was capped with night-life designer Adam Van Buren of Albany who draws his inspiration from drag queens, music, yoga, dance and Albany architecture. His wild outfits and headpieces push the boundaries of fashion by combining fabrics and patterns in unlikely combinations that make bold statements around sexuality, religion and gender fashion rules. Attendees were left no longer thinking about what pieces were feminine or masculine but rather what pieces spoke to their own identities. 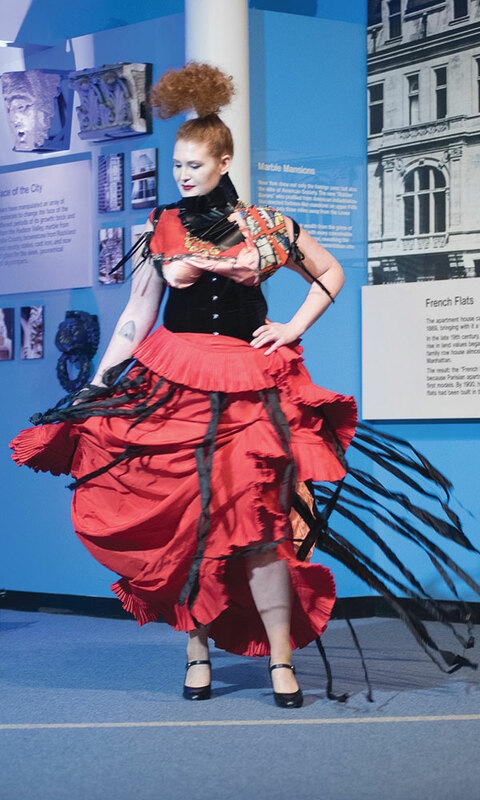 Corey Aldrich, ECC founder and producer, shared that this year’s show evolved out of last year’s Shattered Fashion Show after an attendee inquired about the gender of performer Sybil Syrvice. Influenced by this question and the current national dialogue around identity, Aldrich asked himself, “Does it really matter how someone chooses to identify?” Believing that we each possess our own unique talents and skills, he was inspired to focus on using fashion to stimulate this conversation. Electric City Couture was launched in 2010 at Proctor’s Theater in Schenectady as an outgrowth of an art night initiative. In recent years, the event relocated to Universal Preservation Hall in Saratoga Springs. One of the challenges has been to evolve and create new themes, venues and experiences. This year’s show was held at the NYS Museum in Albany as UPH is undergoing renovations, creating an opportunity to bring the show to Albany for the first time. In the coming year, ECC is looking forward to partnering with like-minded organizations to continue to develop the Capital Region’s fashion industry. After completing their first installation in New York City this spring, Corey also hopes to participate more in New York Fashion Week.